This year four Sisters will celebrate Jubilees marking special anniversaries as Sisters of the Holy Spirit and Mary Immaculate. 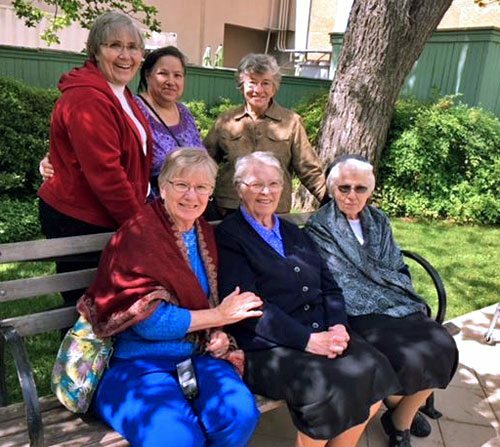 This past week, April 14, Sisters Loretta Armand, Janet Nall and Kathleen Huguet, who live at the Formation House at Saint Cecilia’s Convent, took the Jubilarians out to lunch at the Guenther House in San Antonio, to honor the Jubilarians, Sisters Mary Walsh, Gabriel Hession and Marian Murray. Another Jubilarian, Sr. Magdalen Kilbane, was unable to attend. There will be a Jubilee celebration June 1, 2018 for family friends and community.